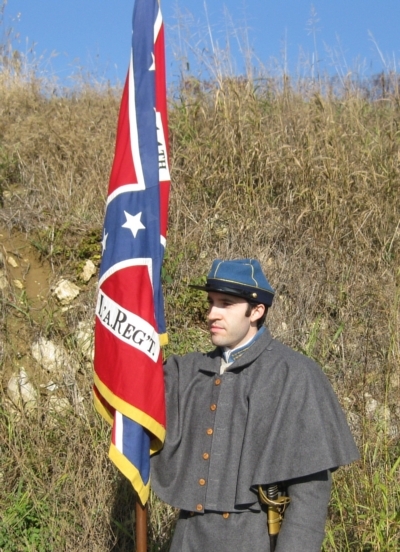 We are an endependent Italian group of American Civil War re-enactment. Re-enactors and muzzle loading shooters; we are people united by a common passion for history and also if coming from different periods of re-enactment, from the Napoleonic era to the WWII, we formed in 2005, thanks to Niccolò Ferrari, in this association to seek there and to reconstruct through the deeds of "14th Louisiana Infantry Regiment" an event, the American Civil War (1861-65), that has nothing to deal apparently with the European history but, saw instead a strong participation of men and women, our fellow countrymen immigrants. 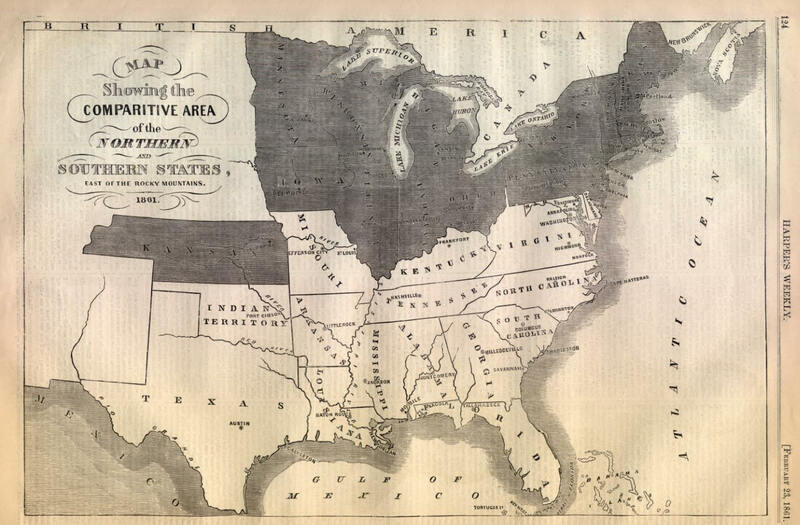 We decided for a regiment of Louisiana mostly because in this state of the Confederacy there were an high presence of immigrants, among them Italians, that choose the "new world" confident to restart afresh in an earth rich in hopes and opportunities. The association "14th Louisiana Infantry Regiment, G Company" is an apolitical and no-profit group formed by different people for: age, job and geographical origin tied by common passions and by common ideals. The purpose of association "14th Louisiana Infantry Regiment, G Co." is to explore whatever cultural, social and technological aspect of the period of which occupies there. The objective is to get this trying to reconstruct an infantry unit of confederate soldiers from the American Civil War trying in this way to enter in a different optics of historical research. Starting from the study and the common comparison on literature, documents, memories and photos of the time we try to move to the real and tangible aspects, this is what brings us to wear the uniforms, to climb on the tents and to live for some times as the men who really were involved in that bloody conflict. To us re-enactment does not mean only to recreate a photo but rather to seek the fidelity of the reconstruction, of the uniforms, of the weapons, of the commands and of the movements all that based on the military regulations of the time. Ours goal is pursued with the maximum effort, in the most possibly accurate way, looking for a continuous improvement, in order to express the historical reality to the best. Raised initially on June 1861 and under the command of Col. Valery Sulakowski who had received the task to form a regiment of all polish soldiers, by this a first nickname of “1st Polish Brigade” ( “2nd Polish Brigade” was 15th Louisiana ). Sulakowski failed in his task and the regiment was composed by companies formed by men of different nationalities among which: Italians, Irish, Germans, French, Polish and others. 14th Louisiana was formed on August 24th 1861 at Camp Pulaski, near Amite (La. ), with the numeration of "13th Louisiana Volunteers". Among the various companies of volunteers that formed the regiment there were also the "Avegno Rifles" which after will be part of company G.
The regiment was soon sent to the front of the Virginia and it reached Yorktown on September 1861. Here the not so popular Col Sulakowski resigned angry for not being promoted to Brigade General and at his place was appointed commanding officer Col. Zebulon York ( in the picture below ) that would lead the regiment for the next two years winning the respect of his soldiers. On September 21st 1861 the department of the war changed the numeration of the regiment that became the 14th Louisiana Infantry Regiment and so entered in effective service in the Northern Virginia Army. The regiment fought in the defense of Yorktown (April 1862), taking part to the battle of Williamsburg (5 May) and limitedly also to the battle of Seven Pines (just on June 1st). In the following days, during the seven days campaign, the 14th was also participating to the battles of Mechanicsville (26 June), Gaines ' Mill (27 June), Frayser's farm (30 June). During this campaign the regiment suffered 243 losses among dead, wounded and prisoners. On July 26 the 14th was inserted in the first brigade of Louisiana together with 5th, 6th, 7th and 8th regiment. During the battle of Cedar Mountain (9 August) it had only a brief skirmish. In the campaign of 2dn Manassas the 14thLouisiana fought in the battle of Bristoe Station (26 August), Kattle Run (27 August) and 2nd Manassas (29-30 August); the casualties were 49 and also Col. York was seriously wounded while driving the charge of the regiment at 2nd Manassas, Lt.Col. David Zable will command the regiment until march 1863. At Antietam (17 September) the regiment suffered 53 losses. On October 1862 the 14th joined the second brigade of Louisiana with 1st, 2nd, 10th, 15th regiments and from that moment on it served always framed in this unit. At the battle in Fredericksburg (13 December) the regiment was in reserve having just a brief skirmish the next day. During the battle of Chancerrolsville (May 2-3, 1863) the second brigade of Louisiana participated at the attack of the Gen. Thomas "Stonewall" Jackson toward the side of the Union army. 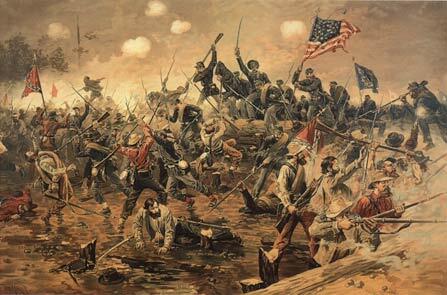 In the battle of Winchester (15 June) the regiment captured over 300 men of the 67th Pennsylvania. During the battle of Gettysburg (1-3 July) the 14th participated in the assault of Culp's Hill (2-3 July) where it brought 65 losses. When the army of Gen. R. E. Lee returned in Virginia the regiment participated at the campaign of Bristoe Station (9-22 October). In the battle of Payne's Farm it had 28 fallen. Taken part, commanded by new Col. David Zable substitute of York appointed Brig. 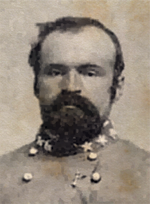 General, to the battles of Wilderness (May 5th 1864) and Spotsylvania (9-20 May) where on May 12, during a raid of the Federal army in the trenches of the brigade, the regiment had many captured men. 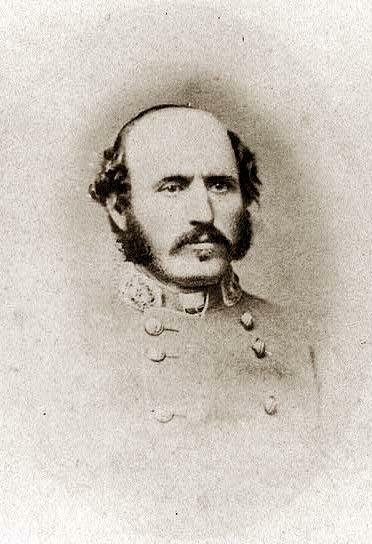 After a brief clash with the enemies at Cold Harbor (1-3 June), the second brigade entered in the army of the Shenandoah Valley of Gen. Jubal Early. The men of 14th fought in all the battles of that army from July to October. The regiment suffered so many losses that from the end of October it was consolidated with the survivors of the 1st Louisiana in an only regiment. The second brigade returned in the North Virginia army in December 1864 at Petersburg where it stayed in the trenches in defense of the city until the evacuation in April 1865. At Appomattox, April 9th 1865, the 14th Louisiana surrendered with a total strength of 2 officers and 25 soldiers. The regimental battleflag of 14th Louisiana was the focus of many events over the past 150 years and a new page in its history was written in October 2011. This flag was in fact been stolen in the mid 80’ and had been untraceable until its rediscovery due to F.B.I. after long and complicated investigations. 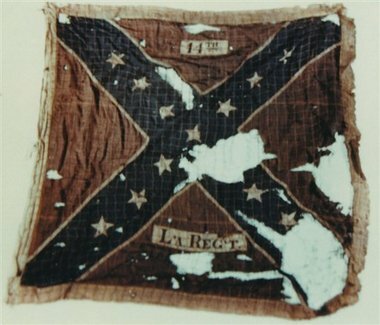 14th Louisiana regiment received its battleflag between May and June of 1862 when the first bunting issue battleflags was delivered to the troops of Gen. Longstreet, among which was the 14th. This model of flag remained in service by the regiment until July 2, 1863 when Frederick Sontag, his flagcarrier, was captured during the battle of Gettysburg. The brave alfire timely hid the flag inside his jacket, carrying her with him for the whole time of his imprisonment, preventing in this way her falling into the hands of the Federals. Once back free after escaping from prison, a year later, he handed the flag to the regiment, who had meanwhile received a new model to replace the old flag thought lost, and was kept in a safe place until the surrender of Appomattox. She was then given over for its protection to a young woman who kept the flag with her until 1889, when she return the flag to Lt. Col. Zable who donated her to the Association of Northern Virginia Veterans located in New Orleans and finally donated to the Memorial Hall in New Orleans. Is said that 14th Louisiana battleflag was the last Confederate flag that President Jefferson Davis touched before expiring, in New Orleans in 1889, and sprinkle his coffin. The history of this illustrious flag, therefore, seemed destined to an honorable rest in the Confederate Memorial Hall in New Orleans, but it was from here that in 1985 a former volunteer of the museum stolen her and from that time were untraceable. In 1991, however, on the authoritative first edition of "Echoes of Glory", appeared a photograph of a first bunting (the correct model) now know wrongly attributed to the 14th Louisiana, because having different battle honors. Since that time among the studious of uniforms opened a debate about which was the exact appearance of the flag’s battle honours of the 14th Louisiana, now we know. In 2005 our group was formed and adopted as battleflag a first bunting ( the correct model ), while in doubt as the goodness of the historical debate offered at that time as to the accuracy of the battle honors, until now. In October 2011 infact, the year of 150th anniversary of Confederacy, a decisive new page was written in the history of the regiment: agents of Fredericksburg Resident Agency of the F.B.I. have recovered the precious flag from a private collector who bought her years ago. Finally, the sacred banner of the regiment and together with him boys of all nationalities who have consecrated the flag with their souls, have returned home and we passionate historians can celebrate even more worthy their memory.